You and your family can have wonderful summer days in the garden with the Grand Champion Trampoline. The Grand Champion Trampoline with its' AirFlow mat offers a higher and exciting jumping experience. Jump comfortably and higher with the new AirFlow technology integrated into the jumping mat. AirFlow gives you more jumping power because the AirFlow mat is made out of higher qualtiy materials, gives you up to 50% more air time and the lower air resistance secures you exceptionally good jumps. The Berg Garden Trampoline Grand Champion incl. Safety Net Deluxe is produced with high grade materials. 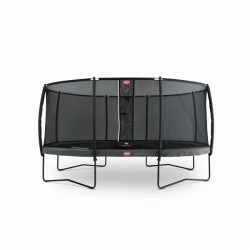 The trampoline is especially stable thanks to the special connectors between the protective ring and the saftey net. 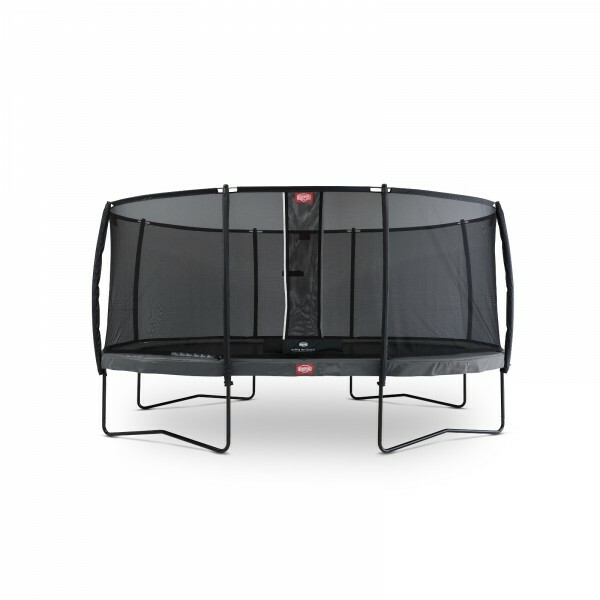 The combination of a rectangular and circular forms gives the trampoline a large jumping area and efficient stability properties. 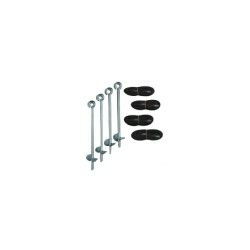 Additionally the soft, extra long TwinSping springs, built in a V-formation, result in secure jumps over the total jumping area. Berg Garden Trampoline Grand Champion incl. Safety Net Deluxe add to comparison list.